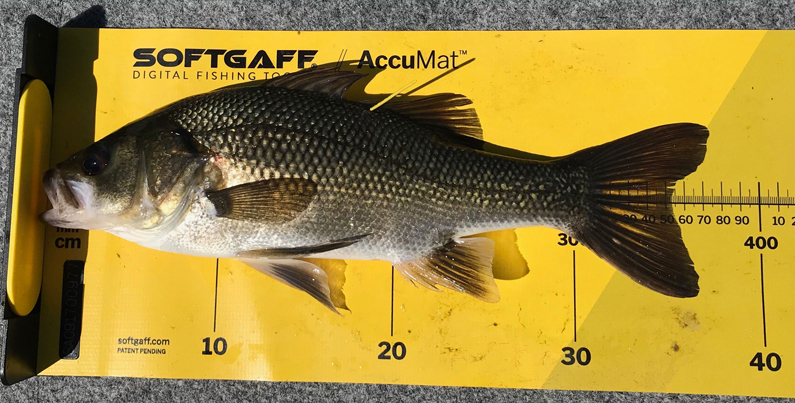 In today’s world of outstretched arms, clever camera angles and noses that grow like the fabled puppet Pinocchio, a brag mat has become more important than ever before when recording your catches, checking for a PB and, most importantly, making sure your fish is bigger than your fishing buddy’s! 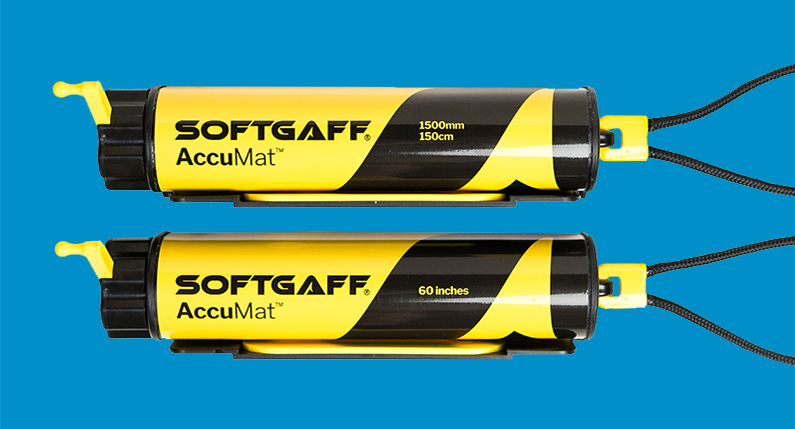 That’s why we were so excited when the local postman dropped off a couple of perhaps the most technically advanced fish measuring tool to hit the shelves – the SoftGaff AccuMat™. 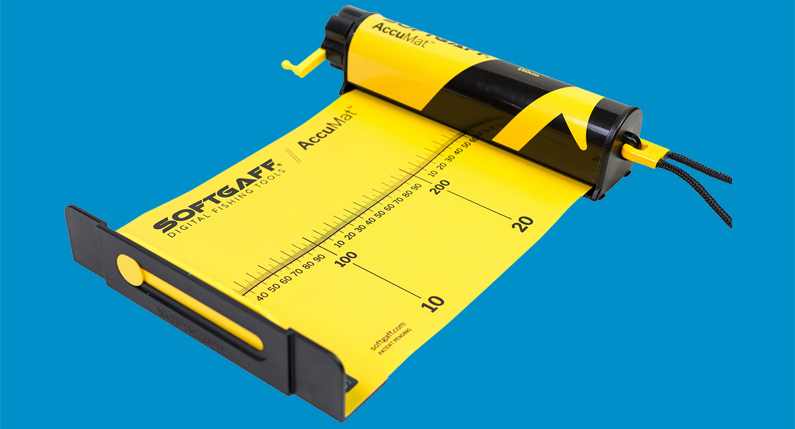 Developed by lifelong fishing tragics John and Ray Callingham, the AccuMat has been painstakingly designed and engineered to be the most accurate and efficient ‘brag mat’ on the market. In fact it’s so different from the competition that both the AccuMat and its accompanying smart phone app AccuLog™ have had international patent applications lodged. What’s so different about the AccuMat? The first thing you’ll notice is just how neat and tidy it is straight out of the box. I’ve only got a small 2000 model 4m Quintrex Hornet Trophy tinny to get me around on the water, and I like to carry too many rods, reels and especially lures so space is at an absolute premium inside my boat. With the AccuMat being able to be so easily wound back up into its own hard shell, it’s there when you need it but not in the way or flapping around in the breeze when you’re traveling. The outer shell of the canister is sleek, robust and bright yellow so it’s hard to misplace. The mat itself is very supple and won’t wrinkle, giving you a much more exact measurement of your fish. Manufactured from UV-resistant and mould/mildew-resistant material, the AccuMat has been designed to not fade, stretch or warp. AccuMat uses exactly zero metals in its construction so there’s no need to worry about rust and corrosion. This means you can pull out the mat, wet it down to make life easier on your fish’s scales and wash the mat at any time without a worry. One mat will provide you with years and years of hassle-free use. Never fear, AccuMat are available in both metric and imperial versions up to 150cm/1500mm and 60”. 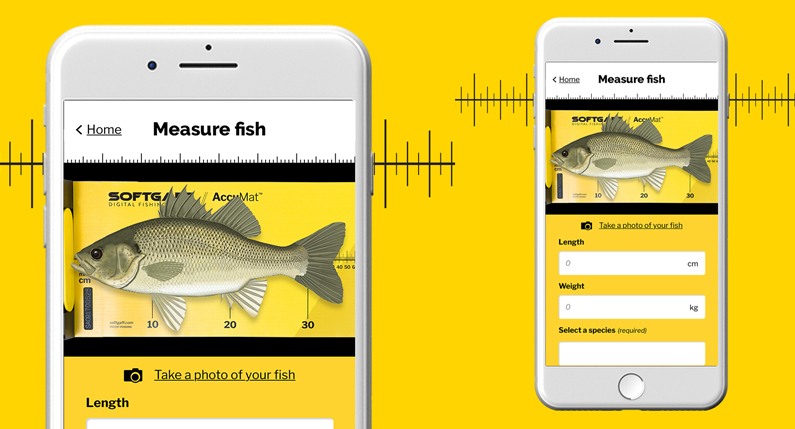 Plenty of fishing-related smart phone apps have been released over the years, but few of them have stuck around and not many worked – especially here in Australia. 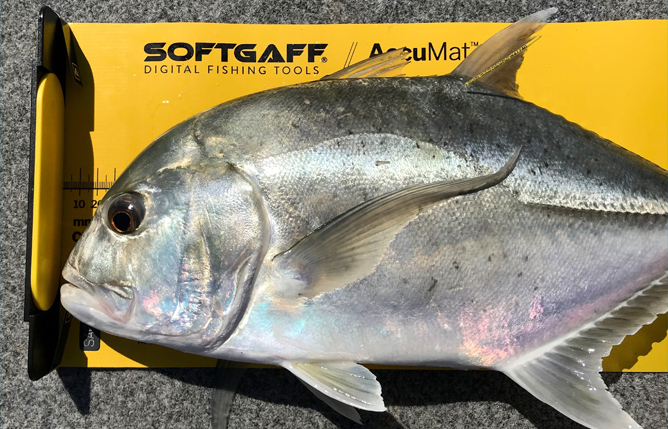 I have a feeling though that the AccuLog app will buck this trend and become a hit with us notoriously hard to please Aussie anglers. Available for Apple iOS and Google Android, the AccuLog digital fishing app helps you record dates, times, locations, methods and, with the help of your AccuMat, the size of the fish. I’ve had it on my phone for only a few weeks and a couple of fishing trips, but I’ve found it easy to use and navigate, as well as share pics to my increasing number of social media accounts. All your photos are kept in a neat gallery and it’s got a very intelligent and predictive list of species pre-loaded, so storing and accessing your data becomes quite easy. Each AccuMat has its own unique ID number right below where the fish’s nose goes, so it’s visible to the app and it uses this to recognise your account. We’ve had a little trouble getting this to work sometimes, but I suspect that’s a user error rather than a software or design error. Fishing gear is no different from any other purchase in life, in that you get what you pay for. The AccuMat isn’t cheap at a suggested retail price of $99, but with the way it’s put together this is probably the last brag mat you’ll ever need to buy. The AccuLog smartphone app is $2.99 from either app store. The AccuMat is still fairly new to the market, so while it is stocked in some tackle stores already, the network isn’t as large as I assume it will soon be. For now, if you can’t find it in your local store, jump onto www.softgaff.com and purchase it there.